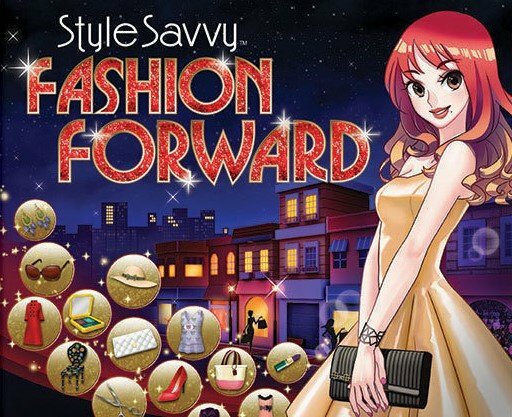 It's been a while coming, but Nintendo of America has confirmed that Style Savvy: Fashion Forward is coming to North America on 19th August - it's been available in Europe since November 2015 with the name Nintendo Presents: New Style Boutique 2 - Fashion Forward. Cool, confident, and charming, New Style Boutique 2 is a knockout. If you're at all into fashion, this is a must-play, and even if you're not it's well worth dropping in to check out everything Beaumonde City has to offer - this is a deep, engaging sim with the looks, brains and fun to entertain just about anyone. Trust us, go ahead and "Try it on!" You can see a trailer from the European release below - let us know whether you're planning to pick this up in August. Definitely will be picking this up for both my daughter and I. Can't wait until Aug 19. Will be getting this in August and Federation Force too. very good, to wait for this, disney magical and pokemon sun & moon, but first, save money! Not interested at all but it really is nice to see a high quality game that is mainly targeting the female audience. My daughter is really big into the first game now that she can read better. I just told her the other day there was another coming out. She'll flip when i show her this! My girlfriend and I have spent a combined 150 hours on our two (!) copies of this game. It's legit. So happy right now. I love this series. daughter will be thrilled, she loves those flash dress-up games online and there's a lot more to this. honestly, i might get a copy for myself as well. Awesome! I loved style savvy 2! I'm so happy they finally confirmed this for NA. I don't care that I'm a guy. Every guy should give this series a try. It's very well made. 'Bout time. I wonder what in the world took so long? I still got the first version never picked up the 2nd idk about the 3rd. This got me legitimately excited. Now how am I going to get a physical copy? @tsukipon I know! When I saw it I was so excited! It's release date is two days before my birthday! I can't wait to play it when it comes out! So excited for this. I really had no interest in the game but I read so many reviews and comments about how great it was so I finally bought it and boy is it fun. I'm really looking forward to this one. OMG!!! I had actually given up on this title, and figured that NoA would never bother localizing it. Thank you so much!! I take back everything I've said about you this past year! For everyone who hasn't played Style Savvy, you should give it a try. It's really fun and addicting. I'm going to pre-order this first thing on Friday. AND it's not even E3 yet. FINALLY! I'VE BEEN WAITING ON PINS AND NEEDLES FOR THIS!! YAY!!! Mens clothing be damned. Woot! Finally! I can't wai- I mean, my daughter can't wait! @SanderEvers - The American 3DS clock itself uses a 24 hour system, so I won't count that. You are right about the metric measurements though, but both are taught in American schools anyway, so IDK what the big deal would be either way. |sf>I'll echo what others have said--I've been waiting ages for this 3rd entry to be announced for NA. The special Animal Crossing outfits in the previous 3DS entry (i.e. second game) were what roped me into this series. Prior to the recent virtual console release of the first game, I hadn't played the DS version due to misjudging the series as "fluff". The funny part is that this game & Magical World 2 were the titles that I thought were being saved for E3 & my most anticipated titles. I wonder what's left. Hello. I'm 31 years old man and I'm kinda curious about this game. Yeah, i know some people will judge me " Why are play a girly games? You're a man, right?" But I don't care. After i watched the previous installment and this installment, i'm kinda interested to buy this game. Well, i have never experienced with Fashion games before, but i've experienced with some NDS games with situation lika style savvy [in different genre] but at least I try to enjoy different genre as long still okay for me. Do you think it will be fun for a young man like me, to be honest I spent tons of time with cuteness of Animal Crossing New Leaf and still play until today. Is this game have fun factor just like Animal Crossing so even just only tapping location icon, talking with someone, click and click pattern and color, using stylus like Cooking Mama style ? Just let me know.